Take a step back in time to one year ago, February 2014, when Gov. 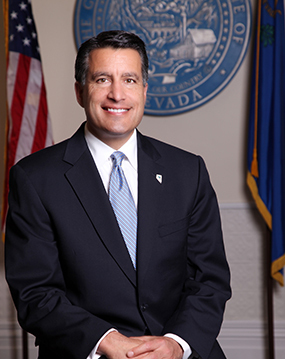 Brian Sandoval of Nevada and Gov. Jack Markell of Delaware signed an interstate compact for online poker player pooling. The shared liquidity venture was only expected to take a few months, projected to occur in the summer of that year. Now, a long 12 months later, Gov. Sandoval says that Nevada regulators think it could happen in the next 4-6 weeks. The announcement was made during an off-topic interview with Steve Tetreault of the Las Vegas Review Journal. The purpose of the article was the governor’s plea to the GOP to pass a homeland security bill, but during their conversation, Tetreault brought up a few other issues, including the long-delayed player pooling of internet poker networks between Delaware and Nevada. Player pooling between Delaware and Nevada could have a remarkable impact, not just on the growth of the markets in those states, but the US online poker industry as a whole. Delaware has an estimated population of just 0.935 million, Nevada’s 2.839 million (2014 est. ), and the slow rate of revenue generation from both states has clearly been reflected in those numbers. Nevada’s online poker market saw another 3.6% drop in revenue for its last reporting period of December 2014, bringing in $641k on the month. In Delaware, however, online poker rake and fees have fallen between $27-$38k over the last six months. Delaware’s failings can be mostly attributed to a lack of any substantial player base. It takes competition to attract more players, and with so few hitting the virtual felt to begin with, there isn’t much draw for new players to join the mix. According to PokerScout, all three of Delaware’s online poker sites (networked via 888) are averaging just 8 cash game players over the last seven days with a 24-hour peak of 26. The addition of Nevada’s 170 average cash game players at WSOP.com alone, (also powered by 888), could attract a relatively higher amount of Delawareans to the interactive poker tables. The key word in that sentence is “relatively”, meaning the boost in traffic will be relative to the low number of players already participating. Realistically, the advancement in technology among US regulated online poker sites will be the icing on the cake here; not the boost in traffic. There are several states that have considered, but failed to progress, the regulation of online poker. Some of those regions took one look at the results in Delaware, Nevada and New Jersey, and scoffed at the idea of following in their footsteps based on the underwhelming amount of revenue being generated. But if player pooling were a realistic opportunity with proven technology in place, it could be a game changer in the number of US states willing to consider the regulation of online poker.